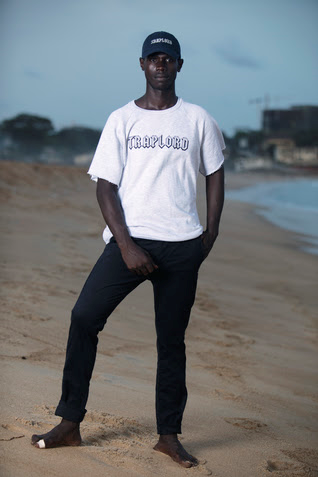 TRAPLORD is pleased to announce the launch of the TRAPLORD X UNIFORM capsule collection, a limited-edition streetwear collaboration between rapper/designer A$AP Ferg and UNIFORM, the beloved brand of ethically minded, elevated basics produced in Africa. This week the TRAPLORD X UNIFORM collection launches with an initial drop available exclusively at Bloomingdale’s (https://www.bloomingdales.com/buy/uniform). After checking out UNIFORM’s collection in late 2016 and learning about the brand’s commitment to help educate kids in Africa, Ferg’s team approached UNIFORM founder, Chid Liberty, with the idea to collaborate on a capsule collection. For Ferg, one of the most important aspects of the partnership is staying true to UNIFORM’s socially-conscious DNA. For every TRAPLORD X UNIFORM purchase, UNIFORM will produce and donate a school uniform to a child in Africa. 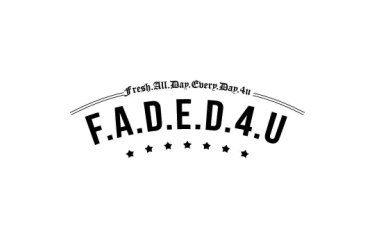 "A$AP Ferg is one of my favorite rappers so I was pretty blown away when he signed on to collaborate with UNIFORM this Spring,” said Chid. 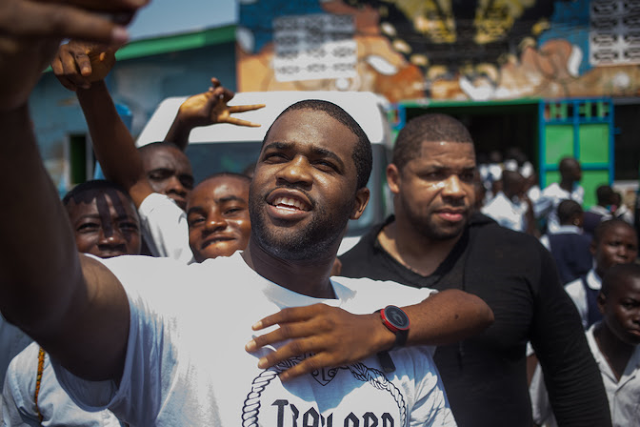 “Beyond being a ridiculously dope rapper and designer, Ferg is just a really good dude who has made this amazing commitment to education for some of the most disadvantaged children in the world. He's a true global citizen." TRAPLORD X UNIFORM brings A$AP Ferg’s fashion meets Harlem aesthetic to UNIFORM’s easy to wear approach to style. The collection’s androgynous vibe was influenced from what is happening in the world – culturally, artistically and spiritually. Traplord’s signature embroideries, oversized logos and color combinations can be found throughout the entire collection – all sartorial nods to Ferg’s personal history growing up in Harlem. For menswear, Ferg has infused his street style on long line tees and sweatshirts, military inspired lightweight outerwear – think bombers, anoraks and camper vests – as well as cargo pants & shorts. 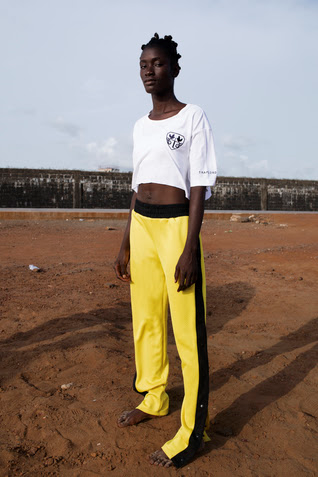 Ferg plays with proportion in the womenswear collection with fitted crop tops and cropped hoodies, high-waisted camo shorts and cargo trousers, snap off midi skirt and joggers, and an oversized logo’d hoodie dress. 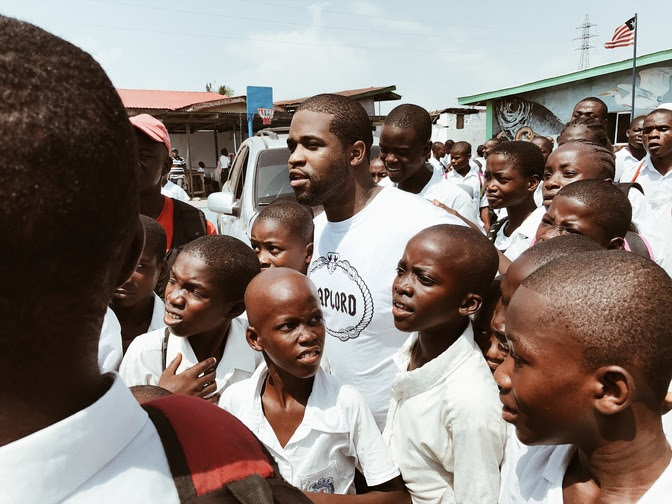 Earlier this month Ferg joined UNIFORM founder, Chid Liberty, on a trip to Liberia to meet with the incredible women working in UNIFORM’s factories and hangout with the kids who will be receiving donated school uniforms. "As an African and an American it's pretty epic to connect the African American genius of hip hop and street fashion to my native Liberia to help our children go to school. I hope it leads to more collaboration and unification with rappers and the continent, because whether we're in Harlem or the slums of Monrovia, the trap is real," said Chid. The TRAPLORD X UNIFORM womenswear and extended menswear offering will be dropping mid-May online at both www.shopuniform.com & www.traplord.com - every item within the TRAPLORD X UNIFORM collection retails for under $200. Founded in 2012 by rapper ASAP Ferg, TRAPLORD is a fashion label influenced by contemporary art, music, sportswear, and streetwear. 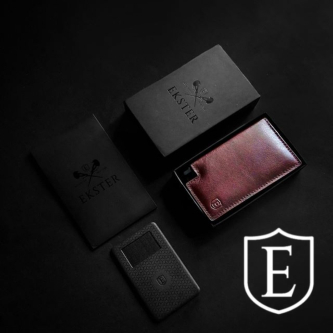 The label’s vision is to provide consumers with quality products and matchless designs, delivering a unique experience and lifestyle. Inspired by the techniques learned in childhood from his father - an active member of the production community in New York and the owner of his own brand called 'Ferg' - ASAP Ferg launched TRAPLORD in an effort to preserve and build upon his early learnings. The iconic processes of airbrushing with multi-surface acrylic paint, embroidery, and silk screening continue to inspire Ferg, and are a crucial part of the Traplord DNA - Reinvigorating these techniques is central to ASAP Ferg’s creative exploration within the TRAPLORD brand.